The children have enjoyed our Jungle theme and taking part in seasonal activities including Remembrance Day, Bonfire Night and Halloween. They are working their way through our file of Dyson Challenges and have achieved the Bronze Award for completing 10. Please also remember to let us know if you are collecting your child from school on a day when they are booked into the After School Club especially at this time of year with Christmas performances etc. We are having a Christmas Party in After School Club on Thursday 22nd December – Children may wear Pyjamas or a Christmas Jumper. 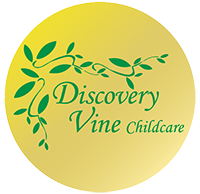 We are assuming if you are reading this then you have managed to download our new Discovery Vine App. We are using this to improve our communication links between staff and parents with monthly newsletters and push notifications/messages that you will receive once you have registered. You can use this app to view staff profiles, download our prospectus or view a copy of our policies and procedures. You can also use it to change your booking pattern or update your registration details if you wish. This new form of communication is still under development so any ideas you may have to improve it will be greatly received. As you may all now be aware, Kelly Weyer will be staying on as Setting Manager. We are however sorry to be losing Lauren (Little Miss Weyer). Lauren will now be joining our Before and After School Club at Longsands and we wish her all the best for the future. On a happier note we welcome the return of Rachel Gough to After School Club. We still have our 2 student volunteers working in our After School Club this term. They are both from Walton Le Dale High School and are working towards The Duke of Edinburgh’s Award. Olivia is helping us out on a Monday and Jessica on a Thursday. Our theme for this term is ‘In the Garden’. We have lots of fun activities planned for the children to take part in, including keeping frog spawn and caterpillars, where we can do lots of investigation into their life-cycles and release the frogs and butterflies back into the wild when we have finished. We will be continuing our After School Club Committee, we have so far only had one meeting but the children brought lots of ideas to the table for us to work with. As the school’s clubs re-commence after the break, we respectfully ask that you inform us if your child / children will be taking part in any of these. We work very closely with school staff at the end of the day to ensure that all children get to where they are meant to be, but it can be a very hectic process for us and the school if we have to keep asking which children are in the clubs. Please also remember to let us know if you are collecting your own child from school on a day when they are booked into After School Club. Could we please remind parents about the importance of signing your child / children in and out of Breakfast and After School Club. The safety of your child /children is paramount and in the event of an evacuation it would cause a great amount of stress to our staff if we are to start looking for your child / children of which had already been collected. Please help us by ensuring they are signed in / your child’s safety and welfare as our up-most priority.